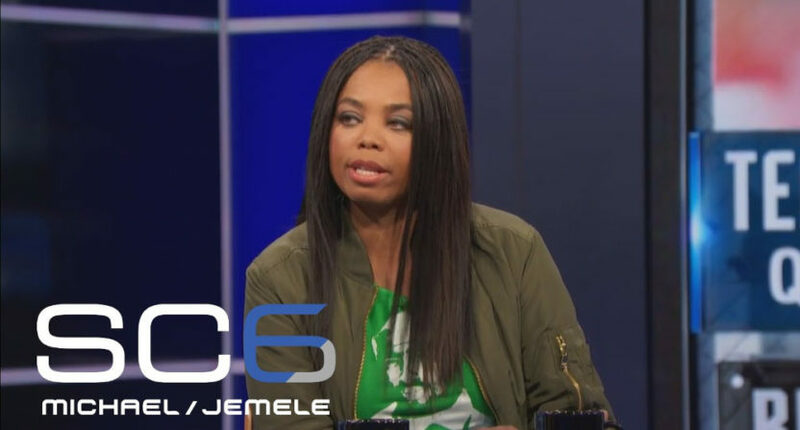 In news that somehow feels both shocking and inevitable, Jemele Hill will leave ESPN’s 6 p.m. SportsCenter to take a staff position at The Undefeated, ESPN announced Friday. The news was first reported by Sports Illustrated’s Richard Deitsch reported Friday. Hill’s reassignment, which she and ESPN both say she requested, is shocking in that SC6 is only a year old and was designed around Hill and cohost Michael Smith. Hill is one of sports media’s biggest names, and pulling her from TV and asking her to write reverses the typical career path for talented ESPNers. But given the obvious tension between her firebrand style and ESPN’s desire to roll back what some observers see as overly “political” commentary, the decision to take Hill off SC6 is also unsurprising. ESPN guru Jim Miller has speculated for months that Hill would not last long on SportsCenter — or at ESPN. Miller’s take on SC6 back in October, on a podcast with Deitsch, seems particularly relevant now. Hill has long been criticized by a certain segment of viewers for being either too “political” or too “liberal” on air and on social media. In September, she drew rebuke from the White House after calling Donald Trump a white supremacist, and weeks later ESPN suspended her when she wondered aloud on Twitter whether fans should boycott Cowboys sponsors over owner Jerry Jones’ position on player protests. On The Undefeated, Hill (who was a reporter and columnist before jumping to TV) will likely have a longer leash to discuss the intersection between sports and social issues, which is an obvious interest of hers. She has written several pieces for the site over the past six months, about subjects including black women’s roles in the 1967 Detroit riots, Jerry Jones and Roger Goodell, disagreements between activist athletes and the Larry Nassar sexual abuse scandal. Most recently, she published a Q&A with Minnesota Lynx star Maya Moore.